Exude confidence with natural results and no linear scarring. See our before-and-after patient gallery. Thicken lashes and brow lines at HRC. Be inspired by patient testimonials. At the Northern California Hair Restoration Centers, we want to help you look and feel your best. Thinning hair on the scalp, beard, brow, or lash line can affect your confidence in your appearance. And, in some cases, it can be an indication of an underlying medical condition. If hair loss is an issue for you, we're here to help in our Lodi, Modesto and Stockton offices. Our board-certified facial plastic surgeon and oculofacial plastic surgeon, Dr. Kimberly Cockerham, will meet with you to discuss your hair-loss issues. After a thorough diagnostic review with medical testing, we'll provide you with a comprehensive plan tailored for your needs. A combination of non-surgical treatments and/or aesthetic hair transplantation will help you regain natural-looking, healthy, fuller hair. Your hair-loss diagnosis will determine the type of treatment(s) our team at the Hair Restoration Centers will provide. Diagnosis and treatment for men with receding hairlines, thinning hair, or bald spots. Services and treatments for women with visible hair loss from genetics, stress, or other factors. Medical treatments or surgical hair restoration for eyebrows, eyelashes, or both are available. Treatments can include light and laser therapies, nutritional supplements, medications, PRP, microneedling, and more. Dr. Kimberly Cockerham offers hair restoration services to men and women in the Lodi, Modesto and Stockton areas. We can help refine the appearance and thickness of your hair--right in our office. Minimally invasive hair transplantation using SmartGraft technology is performed in our state-of-the-art Modesto facility--an onsite surgical suite accredited by the American Association of Ambulatory Health Care (AAAHC ). Consultations and other medical treatments are available at all three of our locations. A variety of cosmetic services are available, including Botox, dermal fillers, microneedling, eyelid, facial and body enhancements and cosmetic surgical procedures. "Great service and fantastic results!" "Trust - I completely trust Dr Cockerham, I value her opinion medically and aesthetically . I feel confident that she will put me on the right track whether it’s for my eyes, hormones, collagen induction therapy or hair growth. I have seen her for all of these issues and will continue to see her forever"
"Dr Cockerham has your vision in mind! - She is truly a people person and will help you in any way you want. She does not push unwanted products on you. She has years of experience in Cosmetic Surgery and Ophthalmology in both the military and the general public. She started a non-profit to help people who couldn't afford eye surgeries. She seems to have unlimited energy and optimism." "I was in and out in a matter of 30 min. It's great when you can schedule your appt during the lunch hour"
"Dr. Cockerham has a very gentle touch, is extremely knowledgeable, reasonably priced, and has a beautiful heart! I'm so happy that I found her for all of my cosmetic needs. I've used her for injectables before-- but would be 1000% confident in her hair restoration or other skincare services, if I need them in the future. I enjoy all of her convenient locations and her staff is really great. I HIGHLY recommend her!" Have questions? Request your complimentary consultation today! platelet-rich plasma (PRP) injections, and microneedling. Dr. Cockerham may also suggest SmartGraft, a minimally invasive follicular unit extraction surgery to transplant your own hair into areas with significant hair loss on the scalp, eyebrows, or eyelashes. Thorough communication is a key to our practice, so we welcome any questions you have about the procedure and what you can expect. Initial consultations are available in our Lodi, Stockton and Modesto offices. Read patient testimonials in the review section about our staff, services, and our surgeons. Tour our AAAHC-accredited surgical suite at the Northern California Hair Restoration Center in Modesto. 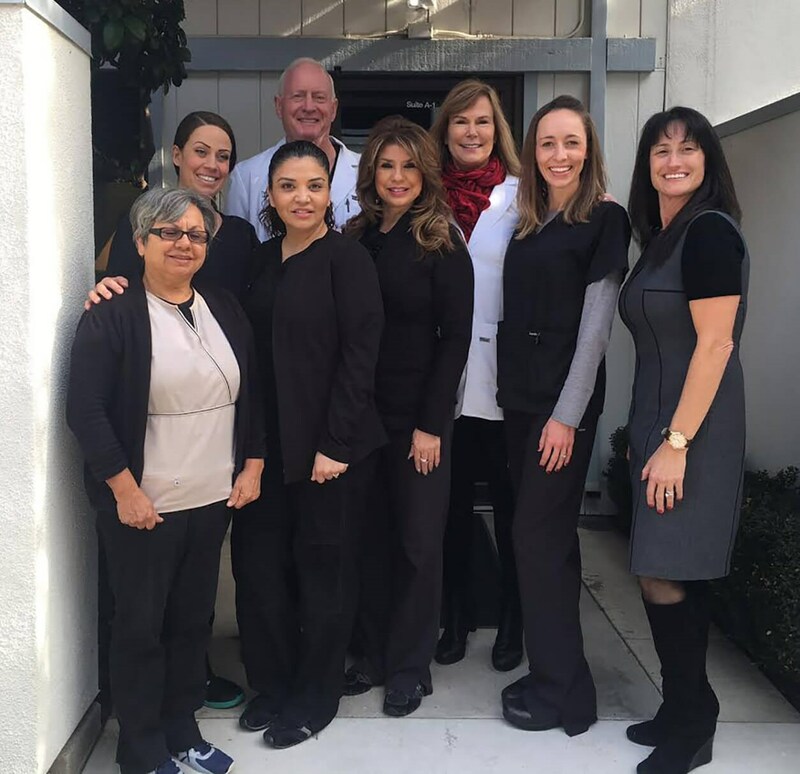 Get to know our incredible medical team members at the Northern California Hair Restoration Center. See real transformations with hair restoration treatments and surgeries in our gallery.